The plug-in power type External Microphone DMW-MS2 with windjammer enables high quality audio recording. Directional control Stereo / Shotgun is switchable in the DMC-GH3’s menu. The holder is designed with vibrational absorption mechanism. It is designed with metal to offer a sophisticated look. 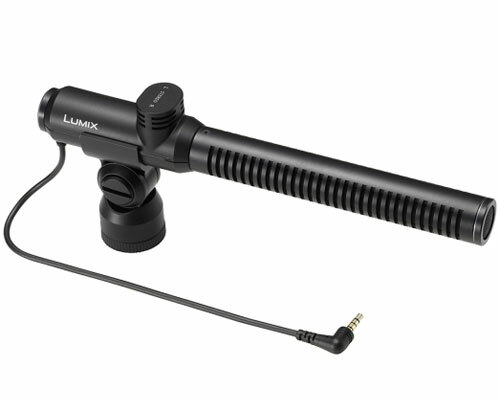 This advanced external mic suppresses the camera's motor noise and handling noise, to capture the sound that you're aiming for.